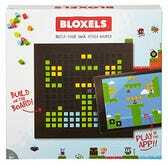 Bloxels is ostensibly a children’s STEM toy, but it looks cool as hell, especially for an all-time low $20. Using a 13x13 grid and hundred of colored tiles, you can create your own pixel art, capture it with an iOS or Android device, and see it come to life as an interactive video game. Kids have it all these days, man.